Hatching any kind of reptile eggs need an incubator. It is very difficult to hatch eggs successfully without any professional reptile incubator. However, sometimes, you may find it very hard to get an incubator. 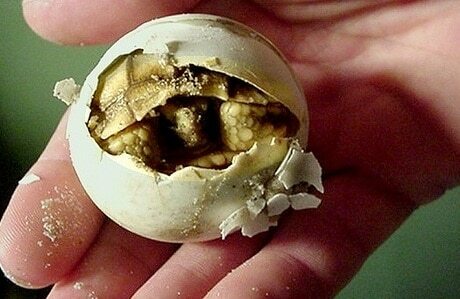 In those emergency times, you need to know how to hatch turtle eggs without an incubator. I will explain this process thoroughly in this article. The first option is to let nature take its course. Turtles are living in this world for more than million years. Nature has taken care of them for all these times. So, you can leave everything up to nature. However, you can cover the turtle egg nest with a poultry mesh which will protect it from potential predators such as raccoons, foxes etc. If the first position is not possible, and you do not have any professional reptile incubator, then you need to go with the second option. The method that I’ll explain here is not a foolproof method and guarantee 100% success rate of hatchings. It is very hard to get a decent success rate without an incubator. However, many turtle owners have used this method and got a positive result. The first thing you need to do is prepare the nesting box. For making the nesting box, I prefer a clear plastic box with an airtight seal. You can also use any kind of box (i.e. shoe box) if you want. Poke some holes along the top of the box. These holes will act as a ventilation. Now, you need to prepare a vermiculite mixture for using in the nest box. To prepare the vermiculite mixture, mix equal amount of vermiculite and water in the box. NOTE THAT, THE VERMICULITE AND WATER SHOULD BE EQUAL BY WEIGHT, NOT BY VOLUME. The mixture should have such moisture that, if you squeeze it, no water will drip down, but the vermiculite will get clumped. Do not fill the box all the way with the vermiculite mixture. Leave a couple of inches from the top free. Now that you have placed the vermiculite mixture inside the box, it’s time to make some impressions on the vermiculite with your finger. These are the places where you’ll place the turtle eggs. It’s time to move the turtle eggs now. Before you move them from nature, take a marker and make a mark on the top sides of the eggs. You should never rotate the eggs in sideways or upside down when you are moving them. If the eggs get rotated in anyways, the embryo inside will get destroyed. Also, place the eggs inside the incubator keeping the same orientation as you have got them from nature. This means that the marked side should always face the top of the eggs. After you’ve placed all the eggs inside the box, seal it off with the lid. Keep the box in a warm place such as in the garage or kitchen. The proper temperature for hatching turtle eggs differs from species to species. However, the temperature ranges from 76 to 85 degrees Fahrenheit. If you’ve done everything right, the babies should start to hatch within 60 to 90 days, depending on the species. How to take care of the newborn hatchlings? As I have mentioned earlier, it will roughly take 60 to 90 days for the turtle eggs to hatch, depending on the species. Once you observe cracking on the shells, don’t get tempted to break it off so the baby turtle can come out. The baby turtle will come out when it is ready. It may take several days for the baby turtle to break the eggshell completely and come out of it. Never ever be attempted to break off the shell by yourself, because the sharp edges of the shell can tear the egg sac of the baby. If it does, the baby may die from infection. The egg sac is extremely important for the baby turtles. The babies get nutrients from it for about a week. So, it is vital you don’t do any harm to the egg sac. Handle the babies as little as you can during this period. The more you handle them, the riskier it gets and you may break the egg sac accidentally. Once the babies are completely out of their shell, you can transport them into a new plastic container. Line the container with a wet paper towel and move the babies there. The babies will stay fine there for about a week until the egg sac is properly absorbed. Once the egg sac is fully absorbed, you need to start feeding them. When the egg sac gets absorbed completely, you can transport the baby turtles to their enclosure. If the babies are from any water turtle species, then you should provide them with an aquatic turtle enclosure. What to feed the baby turtles? You need to start feeding the baby turtles once their egg sac is fully absorbed. At a young age, turtles are mostly carnivorous which means they’ll prefer meaty items more than vegetables. However, as they get matured, they become more herbivorous. The baby turtles will need protein-rich food every day. Give them a reliable commercial turtle food every day for all the basic nutritional requirements. For additional protein, you can give them insects, mealworms, bloodworms, waxworms, shrimps, cooked chickens, cooked beef, crickets etc. These are very rich in protein and the baby turtles will absolutely love them. Though in this stage the babies will mostly prefer protein, you’ll also need to provide them with some vegetables. Vegetables are crucial for turtles and a must for a balanced nutritional profile. There are many safe vegetables for turtles, such as carrots, Romania lettuce, kale, dandelion leaves, bok choy, green beans etc. Click here to know more about turtle diet in details. 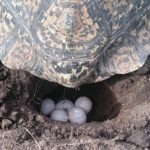 I believe, after reading the whole article, you are now quite familiar with how to hatch turtle eggs without an incubator.